RTO Chelsie (Leuthardt) Grundhauser passed away December 7, 2018, following a courageous battle with cancer. Hundreds of state conservation officers, other law enforcement personnel and friends and family gathered at the Graceville High School on Saturday, December 15, to pay their final respects and to celebrate her life. Eulogists who talked about Chelsie had many common terms describing her: determined, driven, intelligent, kind and self-confident. She was extraordinarily strong in the face of adversity and the kind of person who made a positive impression on those she met in the field or the classroom. Some of you may have met Chelsie in her role as Conservation Officer in the Prior Lake Station. 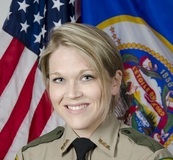 She began her duties as Regional Training Officer in April of 2018. Please keep her family and friends in your thoughts and prayers. L - R: Regional Training Officer Greg Oldakowski, Kim Werkmeister, Regional Training Officer Mike Lee. Kim Werkmeister of Shakopee has been named the Volunteer Snowmobile Instructor of the Year for 2018. During his 42 years as a volunteer instructor, Werkmeister has instructed more than 3,500 youth and adults about how to operate snowmobiles safely and responsibly. He's also the longest active member of the River Valley Trailblazers Snowmobile Club of Shakopee and Jordan, having been involved for more than 45 years. He also clears and grooms trails and coordinates a snowmobile map for Scott County. "Kim is an extraordinarily active volunteer who truly cares about passing on Minnesota's safe snowmobiling tradition to new riders," said Conservation Officer Bruce Lawrence, recreational vehicle coordinator for the DNR's Enforcement Division. "He understands the connection between safety training and fewer snowmobile crashes. Volunteer instructors like Kim are a big part of the reason why snowmobiling in Minnesota is such a safe activity." Known for putting on engaging and interesting snowmobile safety classes, Werkmeister is patient with the kids he teaches and a mentor to other members of his snowmobile club. They often seek out his guidance when there are questions about trail grooming and maintenance, or when they simply want to try riding somewhere new. We recently learned that the snowmobile CD was still being used for students to complete snowmobile training. The CD is no longer being accepted (since 2016). If you have and Snowmobile CDS or know of any still being handed out, please discard them. 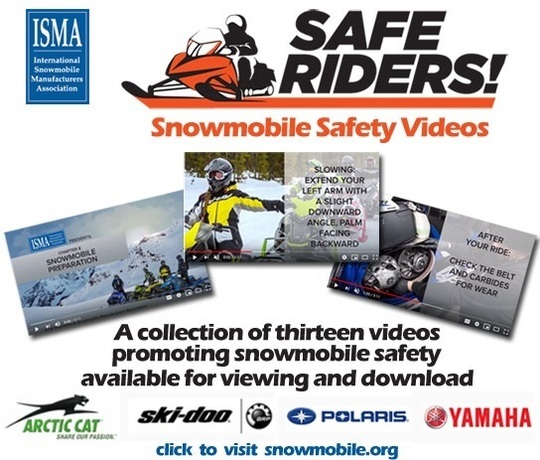 The International Snowmobile Manufacturers Association has a set of videos available for volunteer instructors to use for youth snowmobile classes. There are 13 videos, and are all under 3 minutes in length. Go to: Safe Riders Video Set to download them, or contact us at enforcement.education@state.mn.us and request a jump drive to be mailed to you. Safety instructors leading DNR safety training programs practice due care and diligence to respond to incidents which can occur in the classroom or at outside locations. Despite taking measures to prevent accidents, every so often an incident takes place during a class. While we don’t ask volunteers to have first aid training, please make sure you know the procedures to respond quickly and appropriately, if the need arises. A Readiness Plan also referred to as Risk Management Plan, should be part of the planning stages for those future training classes. Are you prepared to respond to an emergency? Make the necessary assignments to have responsible persons who can react to emergency situations for each session, whether in the classroom or at a rural testing location. What if an accident/incident occurs during a safety class? Personal injury – call an ambulance if needed. Give basic first aid and contact the local area Conservation Officer to report the injury. Vehicle damage or equipment failure – Must be reported to the local area Conservation Officer/RTO. Appoint a “Safety Officer” to check and re-check equipment and monitor potential hazards that may arise throughout the training course. The MN DNR Division of Enforcement Safety Training Section is seeking nominations for Firearms Safety Instructor of the year for 2018. Most of us know a dedicated volunteer instructor who ‘goes the extra mile’. 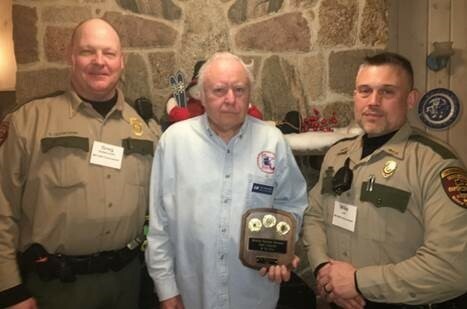 The DNR would like to recognize and award an individual volunteer safety instructor who has gone above and beyond to make the Firearms Safety program a success in their local community. Please take a few minutes to nominate a deserving volunteer Firearms safety instructor. The nomination form is available on the DNR website at DNR Website Instructor Page. The deadline for submitting nominations is 11:59pm on Friday, April 12, 2019. 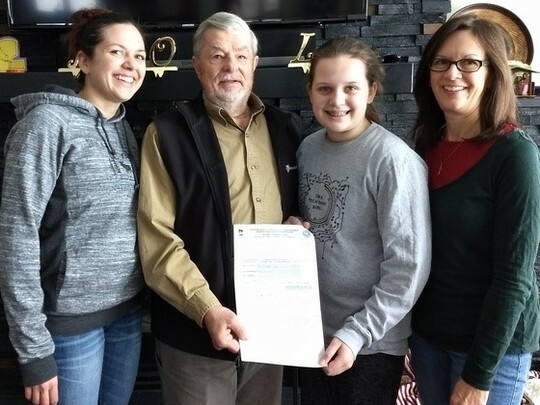 Four generations of Dave Olson's family have received firearms safety certification, including (left to right), granddaughter Amber Lacher, Olson, great-granddaughter Brooklyn Lacher, and daughter Margo Bauck. We received an outstanding number of responses and feedback from our instructors on the new firearms safety manual. Thank you to all of you who took the time to go through it and submit feedback. Your comments and recommendations are very valuable in shaping the final product. Regional Training Officers have now completed their review of the responses and feedback, and made the appropriate changes. We are still on track to provide the completed manual by early May. For the longest time, Guidefitter has offered gear discounts strictly for outdoor guides and outfitters. Recently, in order to show appreciation for your efforts and influence in the field, Guidefitter and their brand partners have opened up their gear discount program to all Outdoor Educators. There are all kinds of products available. Apparel, boots, archery gear, optics, backpacks, cameras, watches, ammo, etc. Anything, you name it! There are no hidden fees with Guidefitter - you simply join with an email, password, and a document verifying your status as an outdoor educator. Here is a link to join: https://www.guidefitter.com/gear-discounts-for-outdoor-educators. If you would like to speak with someone at Guidefitter, call Jackson Reed at (208) 860-8942.